It's 2018 and we're kicking off the year with our first event, Bandwagon Nights. We launched the live music series in Manila last year with a back-to-back showcase with Lucy Rose's Manila Cinema Tour. 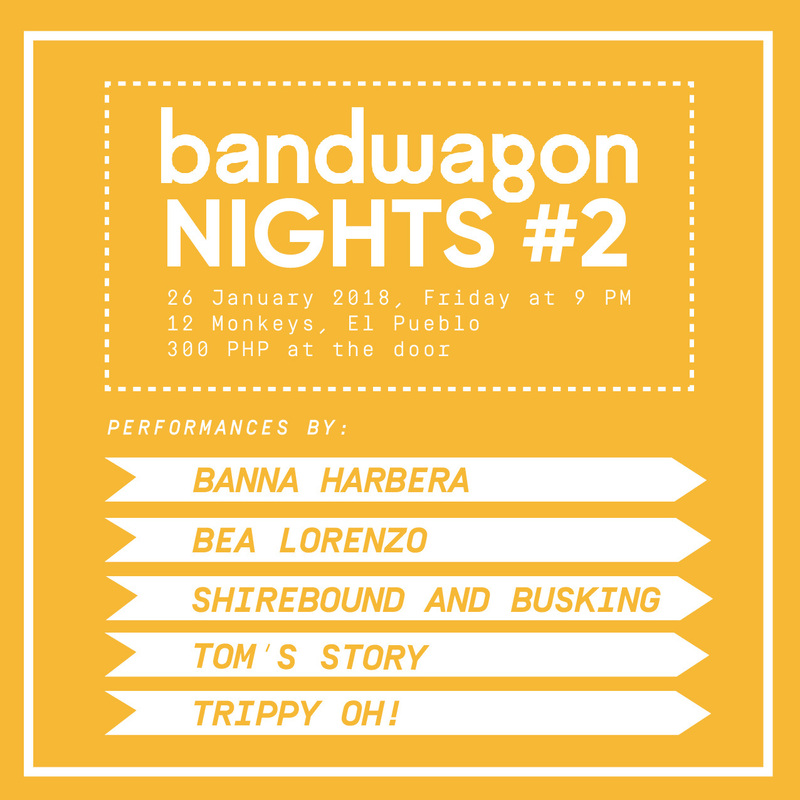 This time, we're taking Bandwagon Nights to 12 Monkeys Music Hall & Pub's new home in El Pueblo, Ortigas. Joining us are up-and-coming math rock act Trippy Oh!, singer-songwriter Bea Lorenzo, soul-funk five-piece Banna Harbera, folk singer Shirebound and Busking, and math rock trio Tom's Story. Music starts at 9 PM. 300 PHP gets you in at the door. For table reservations, please call 0917 570 3222.